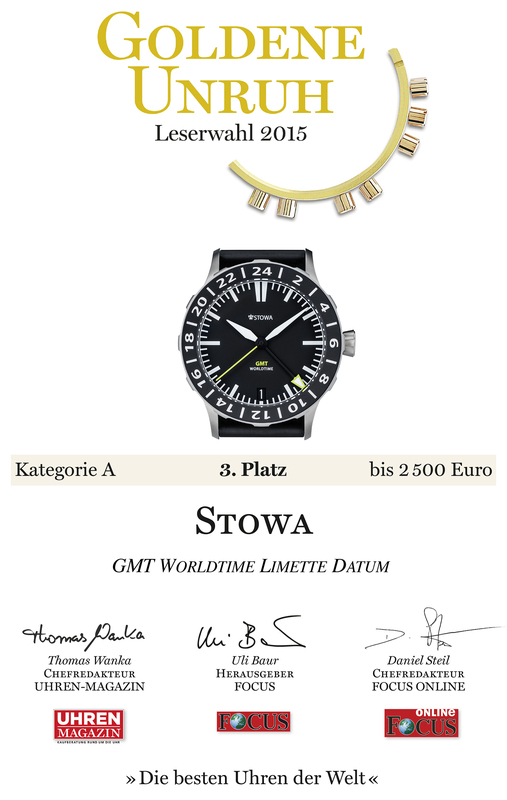 STOWA FLIEGER DIN WITH A SURPRISING 2nd PLACE AFTER BREITLING! 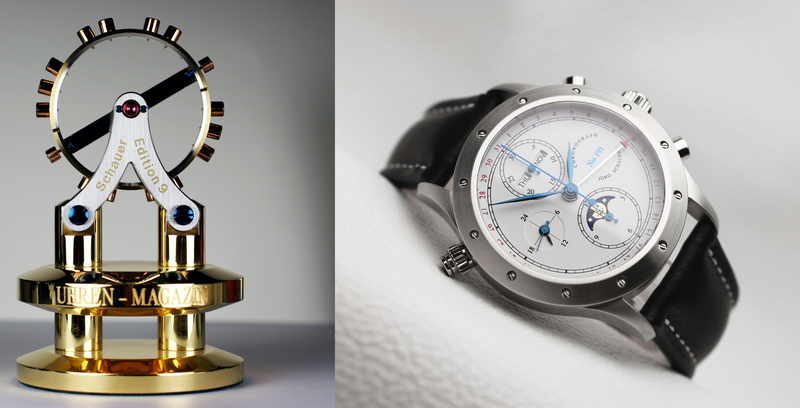 1st place: Breitling Navitimer Rattrapante. 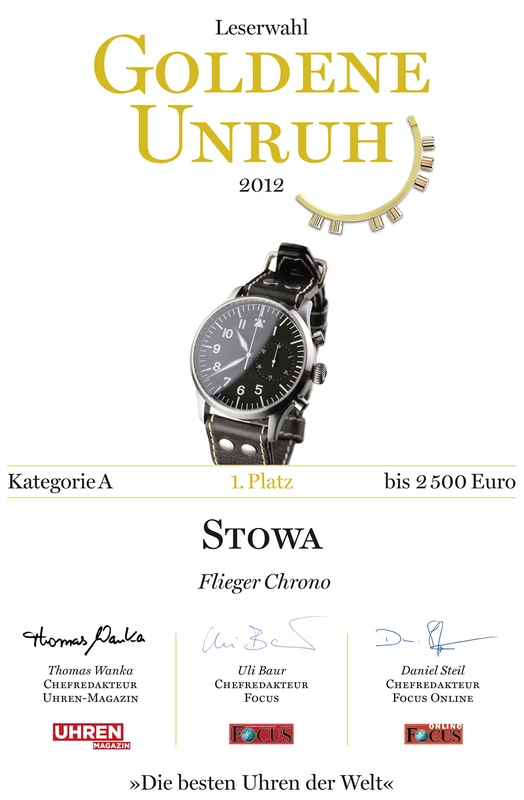 2nd place: STOWA Flieger DIN. 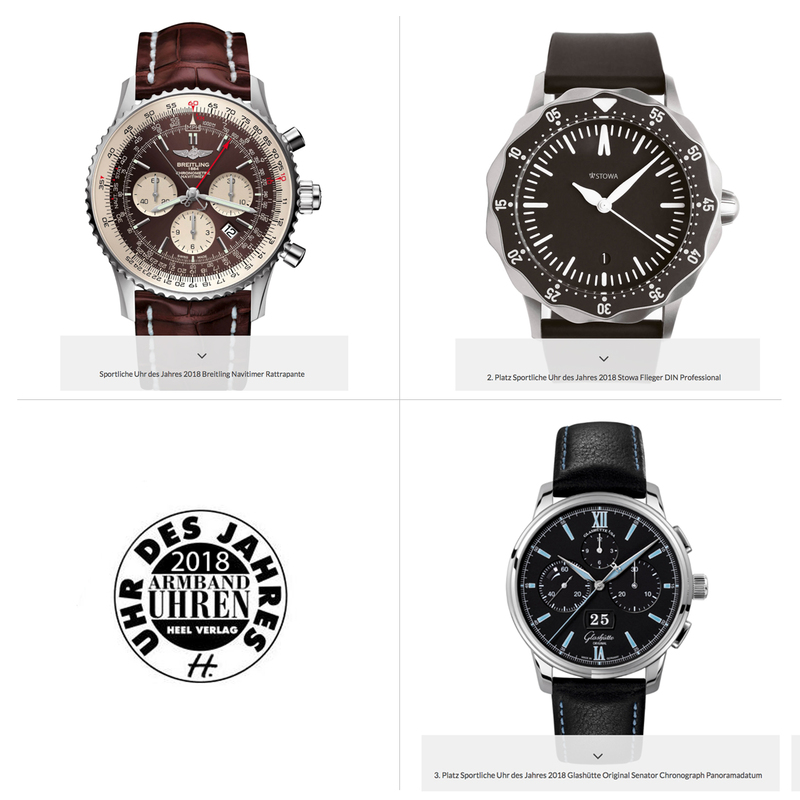 "In second place of the vote of the sports watch of the year 2018 came another pilot's watch, but this time a completely modern: The Stowa Flieger DIN Professional is designed and constructed according to the most modern aspects, making it one of the first timepiece after the brand new German Industry Standard for pilot watches." 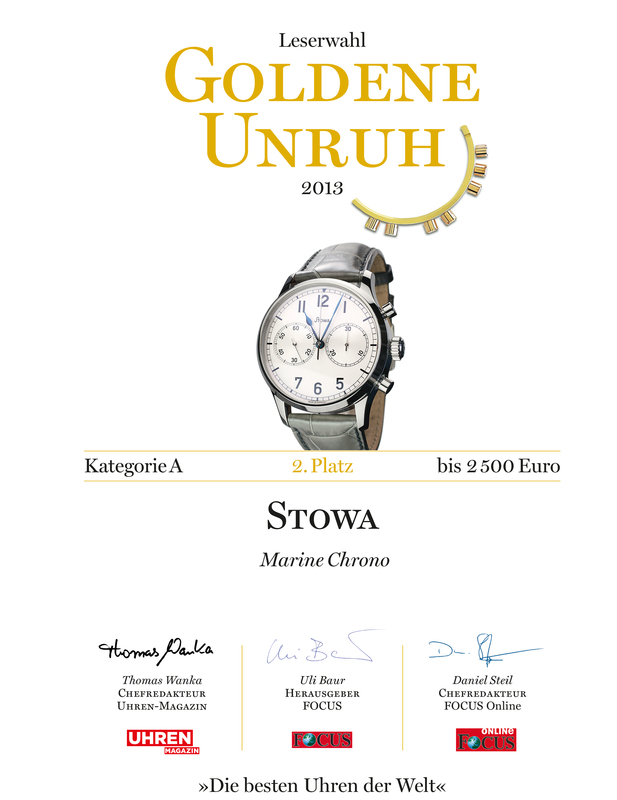 Many thanks to the loyal STOWA fans for their support in this vote. Place 3. Goldene Unruh 2015. 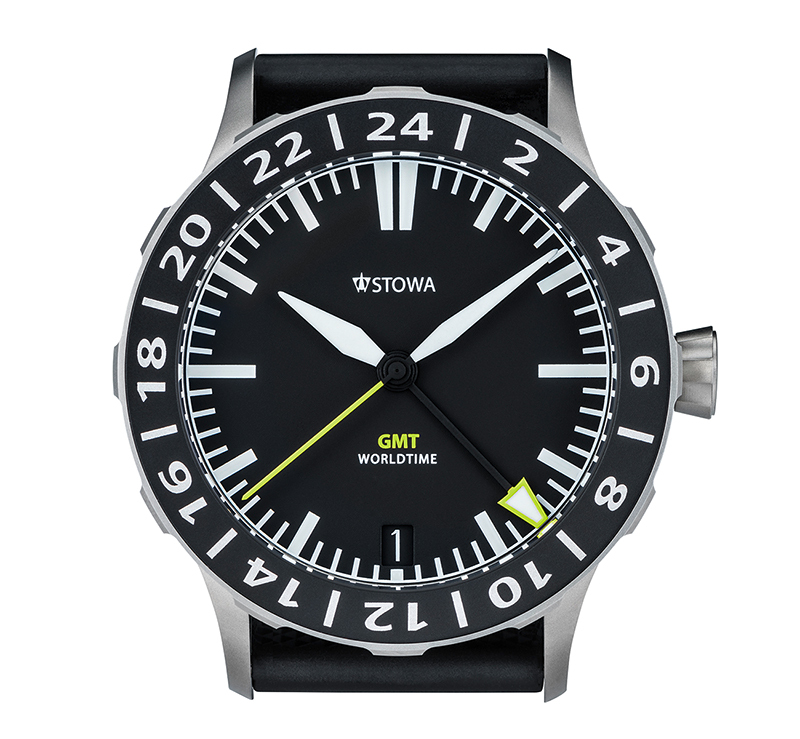 The STOWA Flieger GMT. Place 2. 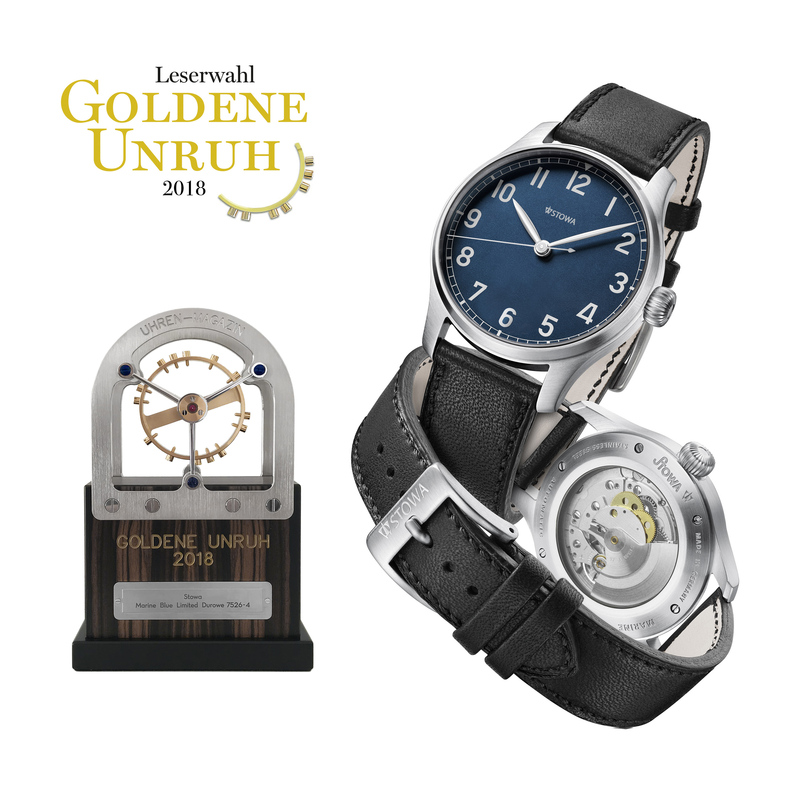 Goldene Unruh 2013. 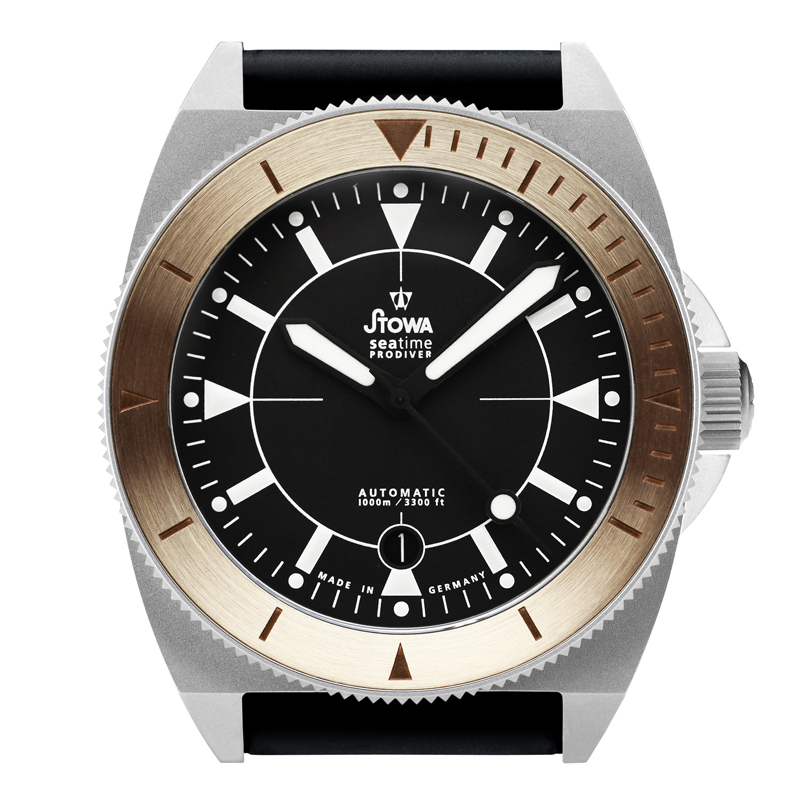 The STOWA Marine chronograph. Place 1. 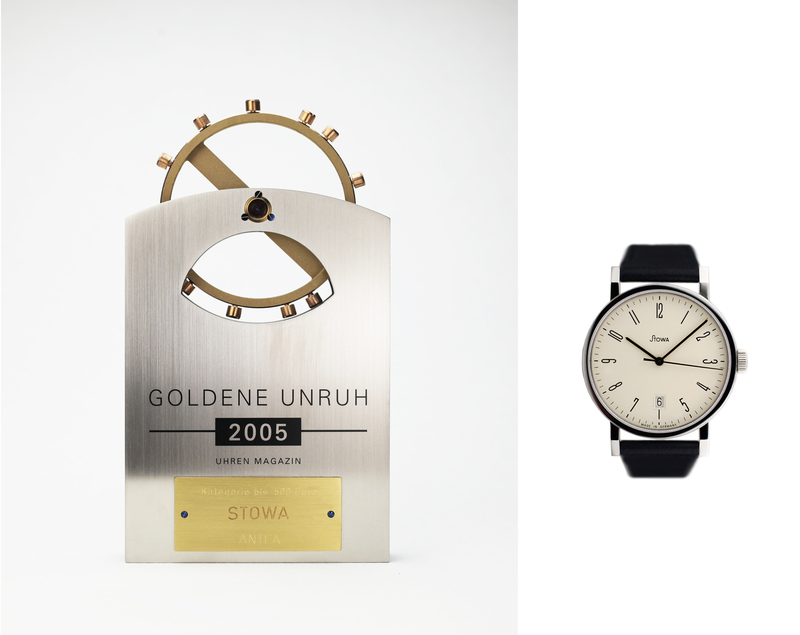 Goldene Unruh 2012. 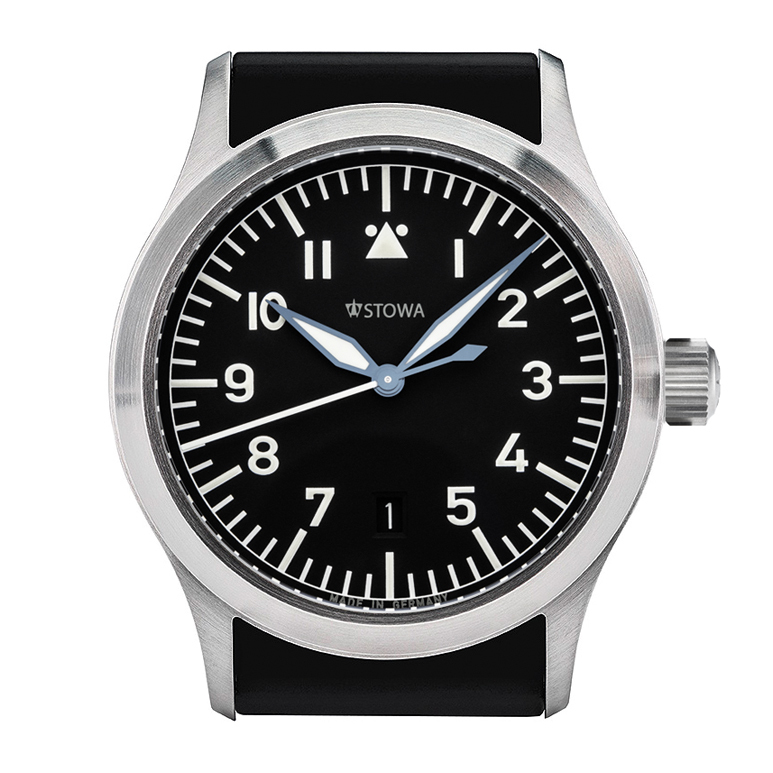 The STOWA Fliegerchronograph. Place 3. 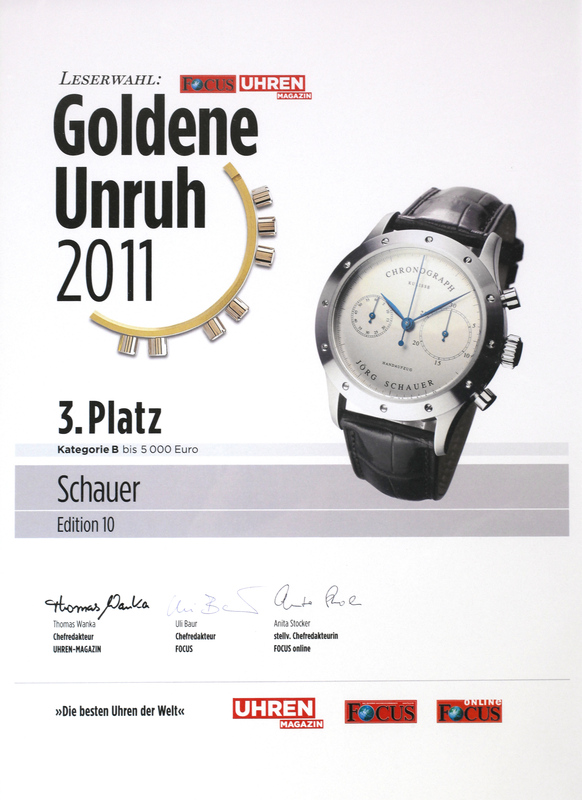 Goldene Unruh 2011. 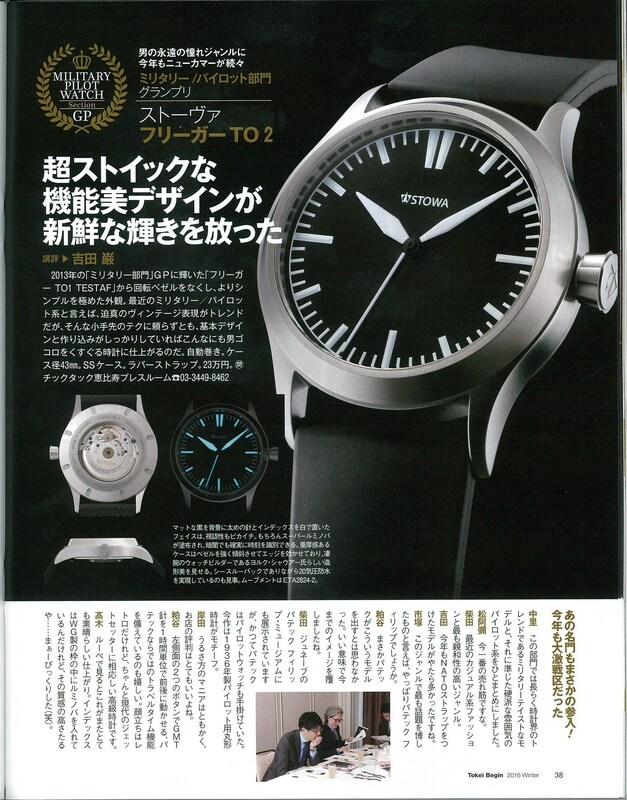 Schauer EDITION 10 Silver. Place 1. 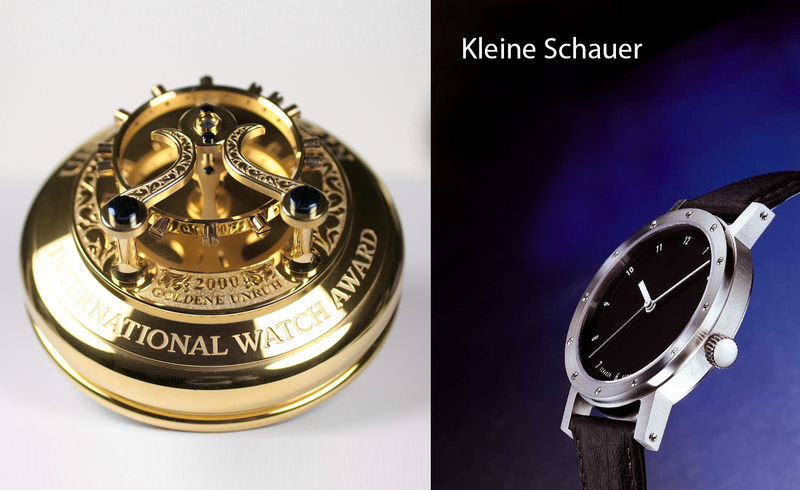 Goldene Unruh 2005. 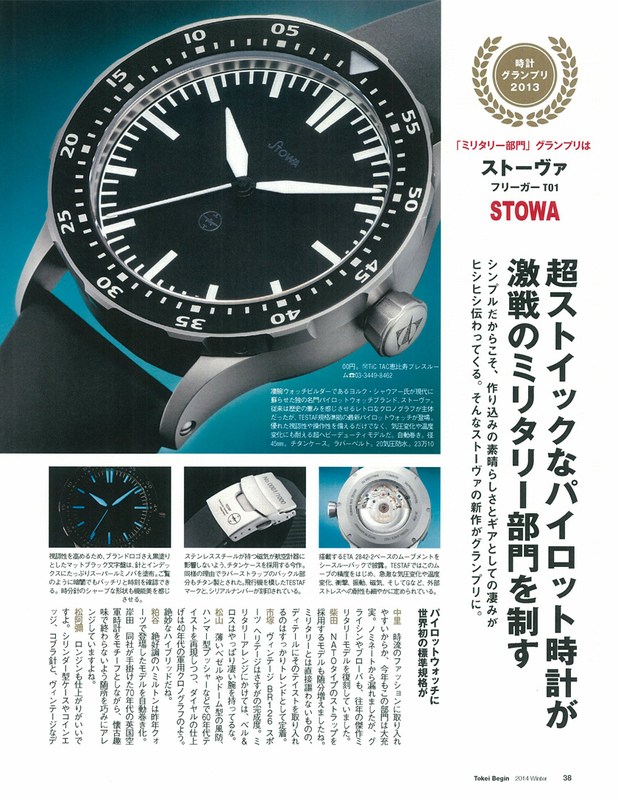 The STOWA Antea.